On June 15th, the World Tapas Day is celebrated, whose purpose is to make known in a simple way the great variety of possibilities offered by Spanish cuisine. The Consorcio Jamón Serrano Español (CJSE) will participate again this year, in collaboration with Turespaña. There will be different promotional events in both European and American countries. The Consorcio Serrano Ham seal of quality will be present in Germany, France, Sweden, Norway, Mexico and Argentina with several special activities to commemorate this day. Different cities of the world present a program of the most complete and several of its bars and restaurants will offer tapas at special prices, will organize competitions, tastings and other activities with the Consrocio Serrano ham as the protagonist. The Consorcio Serrano seal of quality identifies those Serrano hams that have passed the quality controls set by the CJSE. In addition, unlike other types of hams, for its flavor and texture, the Consorcio Serrano ham allows it to be combined with any other food, which makes it an ideal ingredient for making a tapa. On this occasion, the entity has planned the presence of Consorcio Serrano ham in Germany, France, Sweden, Norway, Mexico and Argentina; countries with greater presence and potential in the export of Spanish serrano ham and where the growth forecasts are higher. In all of them, the entity will participate with its product through different actions in order to bring the qualities of its ham to the public. Thus, in Germany, from June 15 to 18, the Food & Style Fair will take place, which will be held at the Munich airport. During these four days, the Consorcio del Jamón Serrano Español together with Turespaña will be present with a tasting stand where the assistants will be able to taste the authentic Consorcio Serrano ham. In addition, there will be several demonstrations of ham craving and a Spanish chef will prepare different tapas. On the other hand, in Frankfurt, the CJSE participates in a route of 10 restaurants that will offer tapas accompanied by a glass of wine, and in which the ham will have great prominence. The action in France, will consist of a contest through social networks of tapas with Consorcio Serrano ham as the main ingredient. The winner of the best tapa will take a Consorcio Serrano ham as a prize. In addition, in more than 100 restaurants in Paris there will be tastings of Consorcio Serrano ham and information leaflets will be distributed to publicize the product. The Consorcio del Jamón Serrano Español will also be present in northern Europe, specifically in Sweden and Norway. The Embassy of Spain in Stockholm will hold an event in which chef Carlos Andrino will prepare different tapas with Consorcio Serrano ham that will be enjoyed by those attending this select event. On the other hand, in Norway, fourth country in Europe where the CJSE is going to promote the World Day of the Top, the “Spanish Way of Life” will take place, an event in which there will be a promotion space ConsorcioSerrano in which you can taste the ham of the countermark of the CJSE. There will also be time to see the qualities of Serrano ham on Norwegian television through the kitchen program Wenche Kitchen – God Morgen. 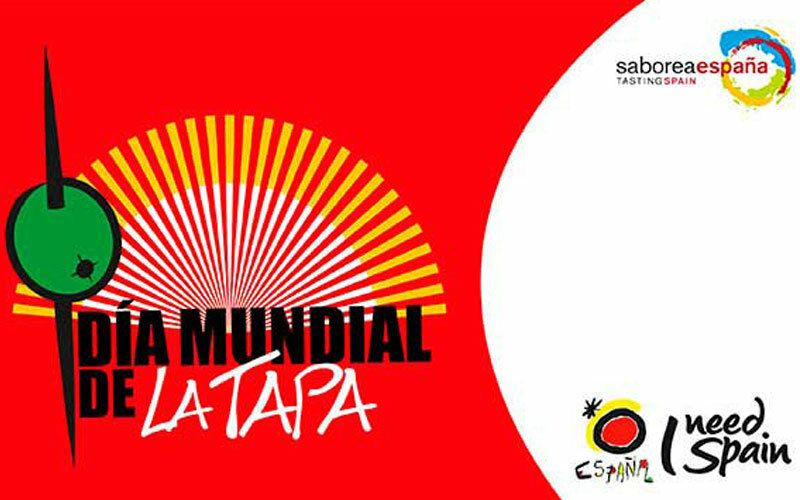 In Mexico the promotion of the World Tapas Day 2017 already began on May 6 with a tapas contest, made in collaboration with the Spanish Office of Tourism in Mexico, in which university students participated and which sought to reward the best tapa. In addition, this Thursday, June 15 have also organized different training conferences around the tapa. Finally, in Argentina there will be an event at the Embassy of Spain where there will be a ham cutter and information will be provided to all attendees on the qualities of Consorcio Serrano ham. “The presence of the Consorcio del Jamón Serrano Español on the World Tapas Day is one of the best opportunities we have throughout the year to advertice the qualities of our Consorcio Serrano ham. The CJSE has always wanted to support this international project, which allows enhancing the gastronomic qualities of our product, as well as the possibility of joining the shopping basket of international consumers “said Miguel Ángel García Bravo, director of marketing and promotion of the Consorcio del Jamón Serrano Español. Germany, France, Sweden, Norway, Mexico, Argentina.